Super simple. Super fresh. And it looks pretty. It's also great and seasonal for summer. 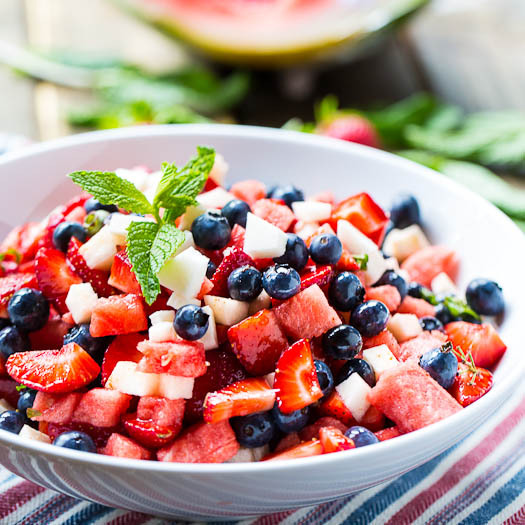 Cheer on Team USA with this refreshing red, white and blue fruit medley! Cut watermelon into bite-sized pieces. Peel apples, cut in half and remove cores. Cut apples into bite-sized pieces. Rinse strawberries, blueberries and blackberries under cold water and pat dry. Cut strawberries in halves. Toss fruits together and serve!